1.2 Why there is need of free backlink checker tools? In the language of Search Engine Optimization, backlinks are defined as incoming links to your website from some other website. Building quality backlinks are the key to a website’s popularity in blogging. Backlinks signify how authoritative a site is and how valuable the site’s posts are to the readers it focuses on, because if your site has valuable content people will link to it in order to refer something you have written on your blog. The big G (Google) considers quality backlinks as trust, so more the quality links your site will have the more trust it gets, and hence better ranking in Google. You can do internal link building within your site as well which is called as Interlinking but what matters the most is having good quality backlinks from other relevant websites that focus on the same niche as yours. Links from similar or almost related niche are good as they possess more value than the links you get from not similar sites. Naturally added links are having more value as Google is against the intentional backlink building. Therefore, even you build backlinks, do in a way that the links look so natural that they seem to be placed as references. In SEO, we need to keep a complete track record of how sites are linking to us and what backlinks have we earned. It is important to know the sources of backlinks you get to your blog because there are many spammy sites may link to you, and that can hamper your site’s ranking eventually rather than help in improving the ranking. Therefore, it’s important to stay updated with the links you get so that you can disavow the bad neighborhood backlinks, and keep your site’s backlink profile clean. In order to keep track of backlinks and to spy our competitors’ backlinks, we need certain tools or software that are called backlink checker tools. Since free backlink checker tools are the need of every SEO, Webmaster, and even blogger, I have prepared a list of 25 free backlink checker tools that you can use to spy on your competitors’ backlink profile, and even check your own site’s backlink profile as well. Why there is need of free backlink checker tools? Backlink checker tools are important for every blogger or SEO analysts because backlink analysis gives the idea of site’s overall backlink profile that can be reverse engineered to compete with competitors. 1. Free things are affordable by anyone thus free backlink checker tools are required by every website owner who has no budget to buy costly tools. 2. They help you to know who is linking back to your site. This enables you to befriend with that site owner by saying simple thanks for the link back. 3. Backlink checker tools help you to recognize if your competitor site has been linked by any site so that you can target to get a link back to that site. Previously a good name for checking keywords has now dropped into the backlink analysis business. 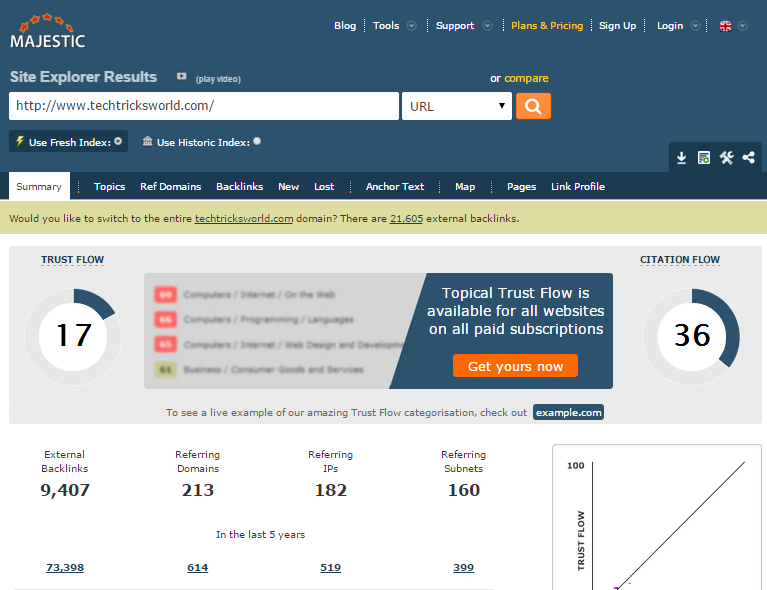 SEMrush is perhaps one of the best backlink checker tool. It allows you to export your data as PDF and the free version has pretty many options for a basic blog analysis. Moreover, their paid version provides an in-depth analysis of backlinks. SEO Profiler is one of the good names when it comes to checking the backlinks for free. You have to register to their site which offers about 2,00,000 link analysis report per request. This tool has been a favorite of the professionals and is used widely. It allows you to download the complete link portfolio of the competitor you are spying on. Yes it has its own curated list if majestic million where it places the websites based on their link profile and other criteria to rank. Site explorer info uses its own site crawler and is completely free. It helps you to discover as many backlinks linking to your competition that are on their database. Small SEO tools has a functionality to check backlinks to the particular website you mention. It is completely free and provides upto 1000 backlink report per query. This is a handy tool for the newbie bloggers and other bloggers who are hard at the budget. Web SEO analytics is the SEO tool that is perfect for the analysis of backlinks to your competitor. You can check your own backlinks too. One thing worth noticing is that it has the limitation of using the tool once in 24 hours on their free version. So if you are about to check their tool use it judiciously. The premium version comes with a free trial of 10 days so you can figure out if the tool is worth the bucks it demands for. As they say keep your best card for the last. Ahrefs is used by beginners and SEO professionals alike. It provides 10 backlinks per report. You can get details if every way the linking has been done. Image backlinks, no follow backlinks, do-follow backlinks and also backlinks from all TLD including .edu backlinks. Ahrefs offers some data for free, but if you want to tap its potential you must go for its premium version. This is my most favorite backlink checker tool on this list. This is a bit of a paid tool but is worth the efforts. This paid tool comes from the company of Amazon which also handles the Alexa rankings of the site. It is hugely trusted and costs less than 10 pounds per subscription. However, you can get 1-month free trial before setting up your mind to buy that. It does show the links to sites. This is not a great tool for backlink analysis. But, still its fine to have it mind as sometimes it can help you well. 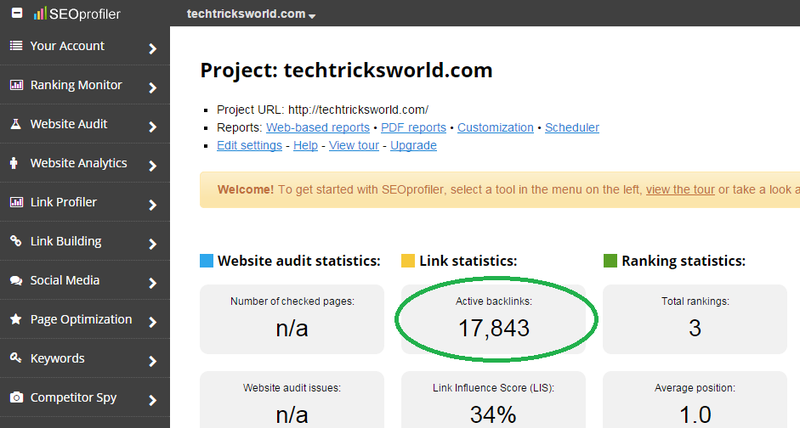 Backlink watch is also one of the free backlink checker tools that use the Ahrefs crawler to index backlinks. This is a popular service used mostly by novice bloggers due to the simplicity and free nature of the service. Cognitive SEO is also a reputed SEO firm that provides great SEO services. They have forayed into the backlink analysis service too. Their free service provides reports up to 25 backlinks per analysis. It may seem less however if you use it in the long run continually you will not require more data. But their paid version is pretty good and worth a try. Open site explorer is from the world leading SEO firm Moz. 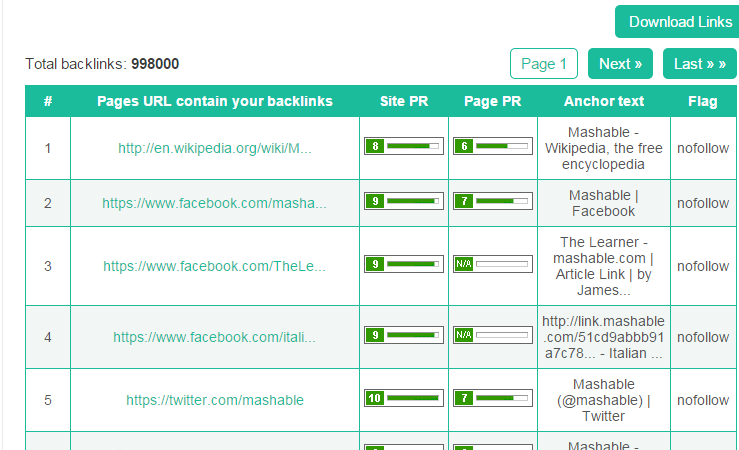 You can use this tool to see your backlink reports and also the backlinks of the competitor. The report can be categorized through domain authority of the linking domains and also the anchor text used to call the backlink. Surprised to see Google Alerts in the list? Though it is not primarily a backlink checker tool, it can be used to be vigilant towards linking backlinks of the competitor. Here is how? You can set a trigger alert for the mention of your competitor and this would help because it is real time. An alert comes just as the mention goes live. I would also like to caution you that it does not tell about the previous activity. You can set a trigger alert for the mention of your competitor and this would help because it is real time. An alert comes just as the mention goes live. I would also like to caution you that it does not tell about the previous activity. This is my favorite tool that I use for backlink analysis. It has up to 2 lakh backlinks report per domain. It’s the largest than any other analyzer even provides. The links are 90 active links so no outdated links are served to you. Moonsearch.com provides free backlink analysis and has its own crawler. Rank signals is another tool which helps you analyze the backlinks of a website. This is a tool that I recommend. It’s because it is available for analyzing 10 backlinks at a given time without registration. And upon registration, you get over 500 links. This is enough for a basic blog analysis otherwise you will be overwhelmed by the results. SEO spyglass is a desktop utility rather than an online tool. It is the most recommended software to check the backlinks. It has updated its servers to index up to 15 trillion backlinks that are way more than Ahrefs and majestic SEO even. If you want the functionality to export link profiles you must buy their paid version which is available at a one-time fee. It’s a great tool that allows you to analyze the backlinks based on the do follow or nofollow status of the links. Pretty handy! Another tool is the desktop software class that targets the link portfolio. Its free feature is limited to 100 backlinks but if you opt for their paid version you get the benefits of Moz backlinks (1000 in number) and also extra bonus backlinks from the crawlers of Exalead and Blekko. This is a tool that helps out if you are the owner of the links you test. That means you can check your own backlinks for free. However, it is not good for the backlink analysis for serious SEO firms because they don’t show you other domains’ report. But to use this tool you need to verify your website/blog in webmaster tool by installing verification code on your site. Mostly used by bloggers who have limited funding or budget. It is the best tool if you wish to analysis your own report. Yes, you also get the functionality to disavow links that according to you might harm your SEO. Google webmaster tools have the functionality to disown the links from cheap and non-trusted sites. But to use this tool you need to verify your website/blog in webmaster tool by installing verification code on your site. As the subdomain suggests this backlink checker is in Russian language and is for our Russian readers on the blog. It provides 5000 backlinks per project. Sheerexplorer is the tool you need if you want to have the access to the blocked parts of your competitor. Now having the view of web pages blocked by robots.txt and other blocked content can have a great impact on your analysis report. But I would request you to have it ethically. SEO Kicks is just another backlink checker tool which gives results faster. Do check out this tool too. This is my listing of the top 25 free Backlink Checker tools to provide you with the best backlink analysis of your site and also of your competitors’ site. 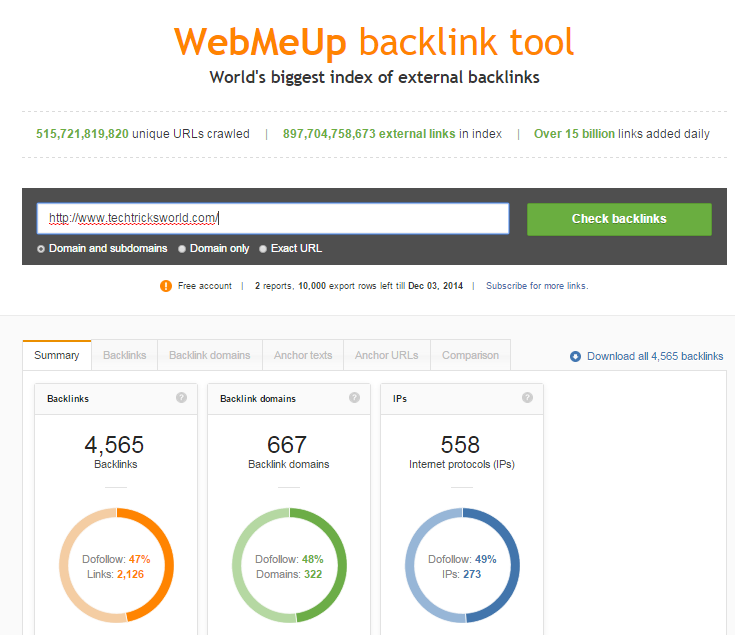 Use these free backlink checker tools to get your SEO better and more targeted. Which is your favorite too? I would love to hear about that in the comment section. I would also provide a detailed tutorial on the tool which maximum readers chose. So please tell about it in the comments. Which are your favorite free backlink checker tools from this list? I would love to hear about that in the comment section. I would also provide a detailed tutorial on the tool which maximum readers chose. So please tell about it in the comments. I would love to hear about that in the comment section. I would also provide a detailed tutorial on the tool which maximum readers chose. So please tell about it in the comments. [color-box color=”white”]P.S. Apart from Backlink checking, you may need a tool to keyword rank checking too. And, Tiny Ranker is the best tool to use for keyword rank tracking. You can read the review of Tiny Ranker by clicking here. !You must check this out! Do you know how to build backlinks that work in current SEO world where Google has closed almost all the ways which were used to make a website rank? But still, things work if you do it carefully. One strategy of building Private blog networks is working great until you are able to leave no clues to Google to find out whether you are running a PBN. Read All about PBNs and how to build it => How to build a Private Blog Network? Yahoo Site Explorer used to be fantastic. It was a shame when they discontinued it. Thanks for the list. I will give some of these a go! Agreed. That was one of the best tools I ever used and I was sad when they discontinued. Thanks for reminding about it. Thanks for sharing these useful tips. Backlinks are the major source of traffic for a website. 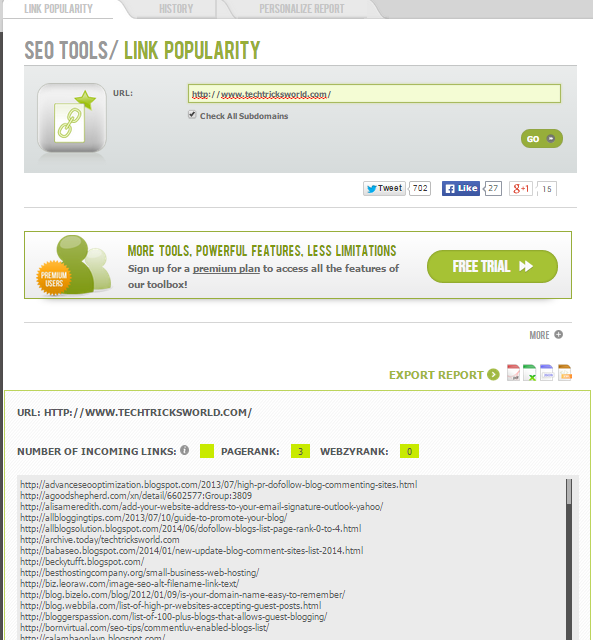 Good list of free backlink checker tools. Welcome back on my blog. Ahrefs is indeed a nice tool. Good to know that you are using other tools like SEO powersuit and SEO spyglass. Wonderful list of backlink checker. I have already used few tools mentioned here. Looking forward to use others too. Thanks for sharing with us. Keep it up. Thank you so much for coming Nisha. Also, glad to know that you are already using few of these. Wow…what a great list of back link checkers! I tried a few myself and received lots of information. I found that people were searching my name more than my blog’s name. Hmmm..very interesting. Thanks so much for this. It provided excellent information I needed to see where people where coming from. Thank you so much for good words Donna. Please keep visiting to get even more good information. Its a great list of backlink checker. I knew only five out of these 25 and I am using few of them. So far, SEO profiler is good. Let me try the other tools you have mentioned. Yes, SEO profiler is nice but I love webmeup, ahrefs and Majestic SEO more than others. I have to comment you on this blog post. I have never checked who was linking to my site but it’s definitely a great idea to look into this. I definitely appreciate the list of backlink checker tools you provided here! Thanks for sharing this valuable information and I hope you had a great weekend! Thank you so much for checking out my post and leaving your comment Sherman . I had a great weekend already and wish you will be having a great week ahead. thanks for these very informative list. I am currently using Alexa.com for my backlinks and rank. 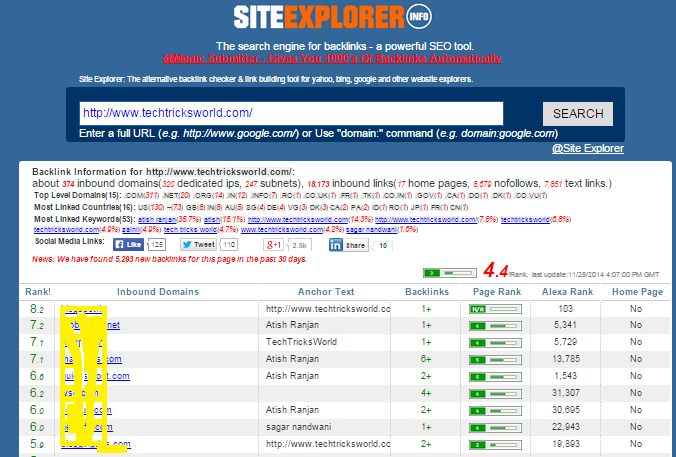 A good list of backlink checker tool. I think this post must be bookmark for ready reference in near future. Thanks for the big list of Backlink checker. I generally use SEMrush, Ahrefs, Opensiteexplorer, backlinkwatch etc. to check my blog backlinks. Found some new tools here and hope those wil works better. I don’t really like backlinkwatch but its fine to use it. Others you mentioned are really great. 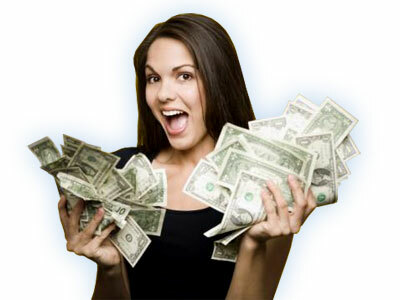 Nirmala recently posted…How To Make Money By Teaching English Online? Thank you that you stopped by Nirmala. Backlinks should be monitored. Keep coming to my blog. I’m familiar with SEM Rush – another great list compilation! No Doubt, SEMrush is well known. Glad you liked it Jon. I was searching in google for backlink checker tools, But your post has given the comlpete list of all backlink checker tools. The tools that you’ve listed is according to any rankings ? or just simply listed. And to your opinion which you could recommed for newbiees like me. Thank you for your help in need !!! NO, Its just simply listed. numbering is just general! I mentioned ahref, majestic and webmeup lower in the article but in my opinion they are the best. So there is no ranking criteria while numbering these! Thanks for asking this Shiva. And yes, Welcome to Techtricksworld.com! This list is quite helpful. We use Alexa..had no idea so many were available..iv heard seo powersuite is good as well..let me know your thoughts. Wow, I figured there were a lot of sites out there that would check for backlinks. I knew of several of them but didn’t know that there were this many. Of course with so many programs and services out there today I’m not really surprised by this number. I had heard a lot about WebMeUp but thought I had heard they did away with their free version. I had never gotten around to check them out when I was told this. Might have to stop by anyway and see for myself. I think I’ve run this some time back and definitely not lately. Thanks for this great list, very helpful. Glad to see you back again on my blog. Yes the list is big and I guess there might be many more but these are few good ones. Webmeup is cool, I love it. Yes the week is going fine with me, hope you are enjoying your week too. Thanks for sharing this complete list. One of the easiest posts to write, and also very valuable to readers, are those on tools and sharing sites to give bloggers a better fighting chance at succeeding with our blogging adventure. Amiti recently posted…Afraid of Feedback from Readers? Thanks Amiti for the visit! Backlink is the backbone of everyblog ranking on search engines, not just backlink but quality backlinks though. These tools you’ve mentioned here are quit helpful if we utilize them properly, we can also use most of these tools to track our competitors backlinks, that will really help us too. I’ve used some of this tool, like Majestic SEO. And it’s really nice, I hope other are gonna be nice too. Agreed! backlinks are still the backbone of SEO process. Also agreed that quality backlinks are important rather having thousands of bad links. Thanks for sharing your views out here Larry. Keep visiting TTW. Very useful list of back link checker. While reading the post I was recalling my initial days of blogging when I hired back link creator geek to create thousands of back links for my client’s website. He did the job in just one week and after that how I suffered from low quality links is another story. In first paragraph of your post you referred the Matt and told the entire philosophy of what is a natural link which each blogger should try to acquire. Practically if one is in techie niche and go to a blog of health niche he will hardly give value in his comments there. Despite getting a link it won’t work for him and may prove counterproductive if he gets so many irrelevant links. Still many struggling bloggers take minute things of SEO so light because they don’t put impact quickly and take time eat the growth of a blog. If someone wants to do blogging in the long term he must avoid saying it is not much important at least while doing any kind of SEO thing. Thanks for sharing a very informative post that deserves a bookmark for future reference. Thanks for sharing what all have happened with you when you have hired a link builder. They usually count links and not the count on quality. I am against hiring link builders because they don’t do it carefully rather we, the bloggers should do it ourselves in natural ways. Thanks again Mi Muba for your comment and views for this post. Keep visiting! These are some great tools I have ever seen. I have used few of them but most of them are new. Thanks for such a great list Atish Ranjan. Thanks for your comment Mark! Please come most often. 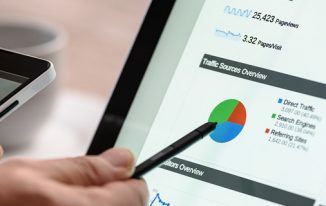 This is a wonderful list of backlink checker tools, though I am afraid most of them I’ve just heard of while the rest are all new to me. I guess I have never really tried building backlinks from such tools nor ever checked them and prefer going the natural way, and so far going good. Perhaps it’s a slow and gradual growth, but a sure one I guess. But I’d surely be keeping this post bookmarked for the time when I would pay more attention to checking my backlinks, when I get a little free time at hand. Thanks for views Harleena! Blogs don’t need so much of backlink practice, only the ON page SEO is well enough but when you are given a website to do SEO then you have to build good number of backlinks for that! Visit most often on my blog Harleena! Backlinks are certainly the most essential element in SEO. Although I have done any kind of SEO campaign yet but I have tried almost half of these tools just to familiarize myself with them. This list will come in handy whenever such requirement comes. Thanks for coming by Navneet! I am glad that you liked this list! i have used Backlinkwatch, Small Seo Tools and Majestic SEO Tool so far, and i think Majestic seo tool is the best one but it does’nt mean other tools won’t work. Karan Rawat recently posted…Your Computer May Be Infected. Here’s How To Check! Thank you for coming by Karan. Yes Majestic is one of the best tools available. good and informative back link checker!!! thank you for discussing such useful information. These are nice tools to find the backlinks but not all that great. Majestic, ahrefs,webmeup, are great indeed. Thanks for the list. Hey Shaily, Thank you so much! yes these are nice tools! You make some very good points, and it is the reason that building backlinks to a site is perhaps one of the hardest parts of an SEO strategy. It is also the reason why promises of thousands of guaranteed backlinks should not be believed. Thank you Avner. Yes, never trust on the word “Guarantee” in SEO. Good to know Jason. Thanks for stopping by. Thank you very much for posting such kind of useful list of Backlink checker tools. Personally I use Spy Glass and I am quite happy. It has recently updated itself and now it also shows anchor texts. Kris recently posted…How to get Google Site links? Awesome Listing Bro..!! Great research. Expecting lots of such useful listing..!! Very good & informative post. I prefer to use following backlink checker tools- SEMrush, SEO profiler, Site explorer Info, Small SEO tools, Ahrefs, Backlink watch. Thanks for sharing the SEO tools. I’ve personally used Traffic Travis and found the keyword research and the rest of the tools there very useful. I also use Stats Crop which shows your backlinks and a lot of other useful information about a website. Thanks For Sharing These..List. From lot of time i am looking for best backlink checker. wow so nice share information about seo thanks a lot sir. Great list thanks for sharing. I know few of tools but the list you provide you have few which i were not aware. I like Ahrefs tools. Very Nice and detailed information regarding Seo TOOLS. 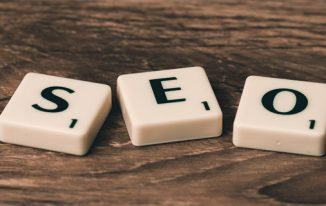 Best article that i ve ever come across related to SEO tools. Very Nice collection of SEO backlinks tools you have provided. I mostly use smallseotools.com & majesticseo.com to track the number of back links of my blog. But i think Google Webmaster Tool does great too. Edward O’brien recently posted…Global Vincitore- The Hub for World Class Services. Thats good to know Edward. Webmaster tool has no match but with it you can check only for your own site which is verified with webmaster. I mean you should be a verified owner to check the details of the site. Thanks for coming by Edward. Nice list. I am using Raven SEO tools for checking my competitors backlinks. Its free version is good. Why you haven’t include that in your list? Else thanks for the new suggestions!!! I have missed Raven Tools. It is indeed a nice tool. Keep visiting my blog Deepika. I really missed this post! Thanks for sharing these useful list. I want to try the other links too! Philip Verghese Ariel recently posted…A Blog Page Which Speaks All About Blogging Including Plagiarism! Thanks for checking out this post, Philip. Glad that you found it via Inbound. Also, good to know that you are already using a few of them. Thats great. Have a nice week ahead mate. Thanks for sharing these awesome tools with us. I am unaware of some of them, and for sure I would try them! Thanks for coming by Muhammad. Glad you liked the list. You have added almost best all paid and free tools for checking Backlinks 🙂 I use SEMrush for Backlinks. Well, there are some Android and iPhone apps are also available for check Backlinks you should research and covers Best Android Backlinks checker. You say about 25 Backlink checker tools. it very helpful for a new person who learn about seo. I am new person in seo world so it is very helpful for me. Thank you for wright it and i think next you wright more details like this and other subject. I love Semrush and they recently added the backlink analysis feature. It is very accurate. I also use ranksignals because it is free. I think you add backlinkwatch.com, it is free but not accurate. This post is really very helpful for a new entries SEO professional like me. Thank you very much for sharing your knowledge with us. I have got huge benefit from your guideline. The number of backlinks are proportional to the growth in the Alexa ranking. But there are many poor quality backlinks which should be removed. The tool you have mentioned above can help the bloggers to know the backlinks of their website. Ravi Chahar recently posted…How To Add Background Color And Image Upload Option In WordPress? Backlinks are very for optimizing the site for Search Engine and it affects SERP. Thanks for these excellent collection of tools. Hi Atish! I’m new to SEO that’s why when I first heard what backlink checker is, I don’t know what does it do. But now, your post made me understand it. I also tried using some of the backlink checkers in your list and I’ve got to check some of our competitors. Thanks for sharing this awesome tools. Your article made me understand it well. You have shared an amazing list. I will be checking it for. So, thanks for sharing. Have a good weekend. Loved this detailed post on free backlink checking. 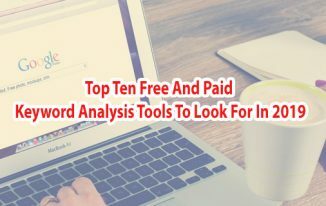 I’ve been using premium tools to check and analyze backlinks and I must say this post is really helpful. I use Alexa and Ahrefs, and they work great for me. I’ll be exploring some of the other tools you mentioned above to see what more weapons i can add to my arsenal. Thanks Atish for sharing this awesome post. All of the tools you covered in a single post. I love the way of your writing. Now no need to find any other post related to backlink checker. I bookmarked your post because it’s too long and will complete the reading on coming Sunday. Can you please also share some free duplicate content checker tools? I have checked google webmaster tools but it shows a very few sites, where some other online sites like href show more sites. Why is not google tools not listing those sites? Or is there any time period after which they will be listed? Hello Nec, I think Webmaster shows all but it does take time to show up. i have use backlink watch and seoprofiler i work usually these tools and it is very nice. i will try your another tools thanks for sharing with us. I am using SEO Profiler. It gives me the best result than any other tools. I can filter and export back-links for my competitor and get the perfect result from it. Thanks for your suggestion. Ahsan Arif recently posted…Why I should not work in or run away from Upwork? Great list of backlink checker. I have used a few of them. Thank you for sharing these great tools. It helps a lot..
Wow! Thats great post like always. I am using SEO Profiler. the backlinks of my site as well to keep an eye on the competitors site. Great to know that there are so many other options. Recently I started blogging, I am very confused about BackLinks, how to check the back links? What do you mean by checking? You can use tools, just enter your site link and it will list the backlink details. Moreover, if you want to keep notified about the links your blog gets you can use this plugin => https://wordpress.org/plugins/incoming-links/ It will keep listing the backlinks you get. 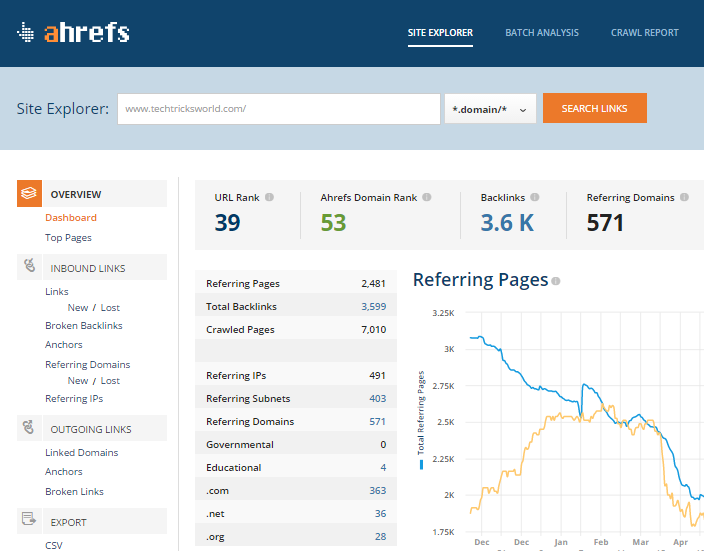 I use Ahref to track my competitors backlinks. As newbie this is new for me but i am learning step by step. Thanks for that list, i will try this all in future. What a article! I was googling for this and founded this awesome post! Thanks Atish for writing such detailed article…! I have been using the SEMRUSH for quite a while now. What I think is that SEMRUSH gives much accurate information. Either way, thanks for the helpful share Atish. Please You suggest me best tool for them. You have shared a amazing article. I was finding a such list of backlink checker tools. Really these tools are awesome. Specially seoprofiler it is very good. Thank you Atish Sir. 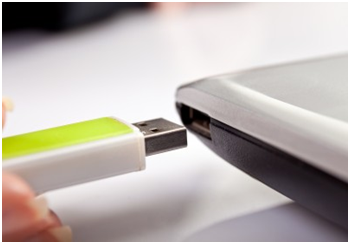 How to recover lost Hard Drive Data?